As the world's largest and most influential space advocacy group dedicated to the human exploration and settlement of the Red Planet, the Mars Society is working to expand its public outreach by establishing a chapter in the state of Utah. Chapter work typically involves hosting local meetings, setting up exhibits at high schools, colleges and conferences and organizing Mars-related STEM projects for students. Other ideas are welcomed, and individual chapters are always encouraged to be creative and follow their own direction. 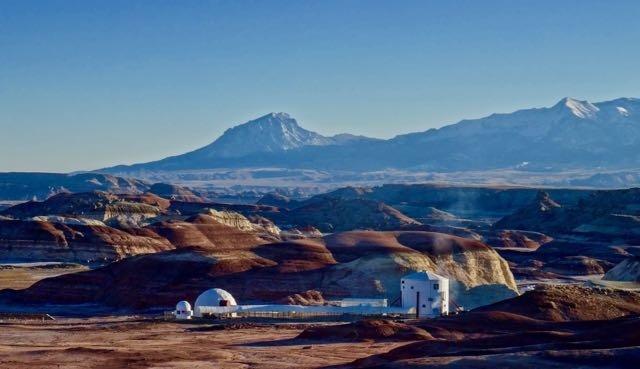 Members of a Utah chapter would also have a unique opportunity to serve as volunteers at our long-running Mars Desert Research Station, located near Hanksville in the southern part of the state. If you are interested in getting involved in the new Utah chapter and becoming a founding member, please visit our web site and take a few moments to fill out our chapter interest form. Thank you, and On to Mars!